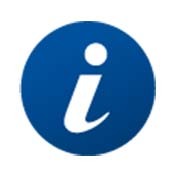 Serials Solutions is working with IHS Inc. to expand IHS content indexed in the Summon discovery service to include IHS Jane’s modules and databases. With the inclusion of metadata and full text from the following IHS Jane’s content sets in the Summon index, researchers will now be able to discover information in the defense, security, aerospace, and transport sectors alongside their library's other resources. IHS Inc., solutions for an interconnected world, is widely known for hosting vast and extensive databases, including the Jane’s sets. Founded in 1959 as a provider of product catalog databases on microfilm for aerospace engineers, IHS has grown from an aerospace engineering solution to a global information company with world-class experts in pivotal areas shaping today's business landscape: energy, economics, geopolitical risk, sustainability and supply chain management.